Roxanne Trunnell and Royal Dancer. Photo by Erich Linder. Grass Lake, Michigan – June 3, 2016 – The 2016 USEF Para-Equestrian Dressage National Championships Sponsored by Deloitte and Selection Event for the Rio 2016 Paralympic Games kicked off on Friday, June 3, with the Team Test competition. Thirteen horse and rider combinations showcased their top tests in front of judges Kristi Wysocki 4* (USA); Kathy Amos-Jacob 5* (FRA); and Carlos Lopes 5* (POR), at the beautiful Waterloo Hunt Club show grounds in Grass Lake, Michigan. 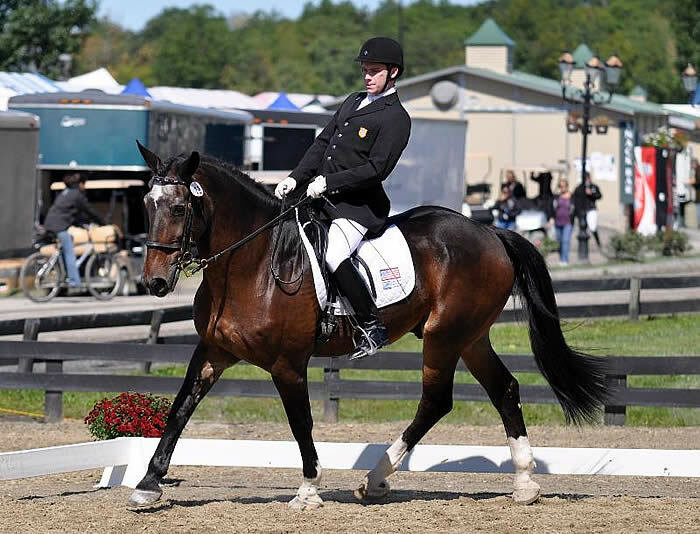 The weekend is full of excitement as the top U.S. Para-Dressage athletes from around the country in Grade Ia, Ib, II, III, and IV compete in the National Championship with High Performance and National Divisions and the Paralympic Selection Trials. Roxanne Trunnell and Royal Dancer (Grade Ia) scored a 72.754 to top the field of seven horse and rider combinations in the High Performance National division while Laurietta Oakleaf and Niekele fan Busenitz (Grade Ib) scored a 68.2 to earn the blue in the National Division Team Test over five other horse and rider combinations. Roxanne Trunnell was happy with the duo’s first day of competition. Trunnell noted, “Royal put in a fantastic first test today scoring a 72.754% winning his class and also getting the highest score of the show. I really feel that over this past year Royal & I have really hit our stride in the show ring. Our rides have been very harmonious making it easier for me to focus more on the accuracy of the rides. I would like to thank Julia Handt for allowing me to ride her big boy; he has the sweetest personality and I just love hanging out in the barn with him.” Trunnell and Royal Dancer are also competing as one of the ten horse and rider teams aiming for the four spots on the U.S. Paralympic Dressage Team. U.S. riders will continue to compete on June 4, in the Individual Test competition followed by the Freestyle competition on June 5. The overall National Champions in each division will be determined by weighting the tests with the Team Test counting for 40%, Individual Test 40%, and Freestyle Test 20%. U.S. Paralympic Dressage Team selection rankings will be based on 50% of a combination’s overall performance in the Selection Event and 50% on the combined overall score from its best two CPEDI3* events taking place January 1, 2015 – May 16, 2016. The selection procedures also include discretionary criteria. All nominations to the 2016 U.S. Paralympic Dressage Team are subject to approval by the United States Olympic Committee and the USEF. 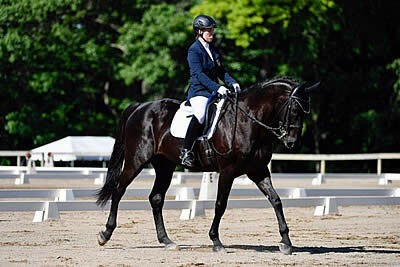 The short list/FEI Nominated Entry for the U.S. Paralympic Dressage Team will be forwarded to the FEI by the United States Equestrian Federation by June 20, 2016. Equestrian competition at the 2016 Rio Paralympic Games is scheduled for September 11-16, 2016, at the Olympic Equestrian Centre in the Deodoro Olympic Park, Rio de Janeiro, Brazil. 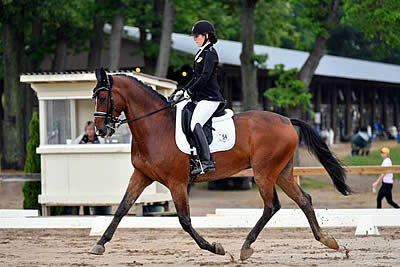 Gladstone, NJ – July 3, 2012 – It was a week to remember at the 2012 USEF Dressage Festival of Champions. Dressage was thrown into national headlines and for the first time there were foam fingers waving “Dressage is #1” at the Olympic Dressage Selection Trials. 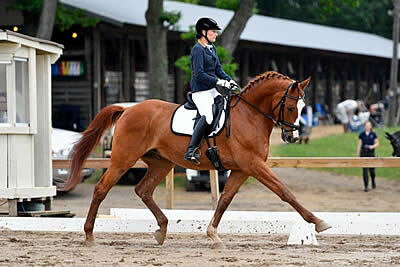 For two weeks the United States Equestrian Team Foundation hosted the best in Dressage including the United States Equestrian Federation (USEF) 2012 Para-Equestrian Dressage National Championships and Paralympic Selection Trials. The United States Para-Equestrian Association (USPEA) would like to thank everyone involved for a successful week of Para-Dressage competition at the beautiful Pine Meadow location at the USET Foundation headquarters. Just over the hill from Hamilton Farm at the USET Foundation’s headquarters is another historic equestrian location called Pine Meadow. For years it has been used for competition and training purposes especially for the Driving discipline. For one week Pine Meadow was transformed into the USEF Para-Equestrian Dressage National Championships and Paralympic Selection Trials. The USPEA would like to thank the USET Foundation for hosting the Para-Equestrians and providing the facilities for this event.